Telekung Maisara is a Classic Plain with high Quality Lace. This Telekung is travel-made Telekung which is very practical and suitable for travelling. 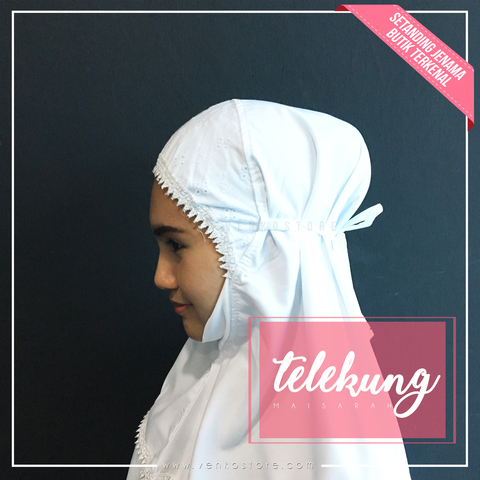 Specially designed for Muslimah who wants to look simple, not too complicated and comfortable to perform their ibadah.